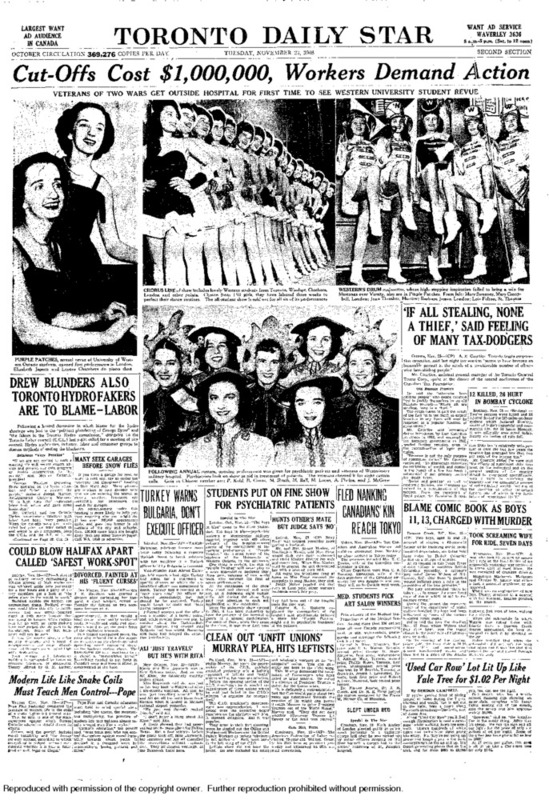 Toronto Daily Star Nov. 23, 1948. On November 12, 1948, two boys aged 11 and 13 stole a rifle from a parked car in Dawson Creek, British Columbia, and hid in a ditch alongside the Alaska Highway. Driving from home from the theatre, James Watson and his family passed the boys' hiding spot, and when they didn't stop after a warning shot was fired, the boys fired directly on the car, killing the 63-year old area farmer. Once arrested after a police investigation, the boys revealed they had been inspired to shoot at the car by the 'desperado' characters in their favourite crime comics books. The case was covered widely in local newspapers and received some national attention in the Globe and Mail, for example, but soon fell from the headlines. The inquiry that followed the shooting did, however, serve as a catalyst for the Fulton Bill, passed in late 1949; one of the recommendations coming from the inquiry was that "steps be taken. . . to censor the more lurid type of comic which is apt to encourage crime." The case was brought to much wider international attention by Frederic Wertham, who chronicled the events of the shooting and of the passage of the Fulton Bill (see sect. 10.1) in chapter 11 of his Seduction of the Innocent. Lauding Canadian authorities for taking the scourge of crime comics seriously, while encouraging their American counterparts to do likewise, Wetham also used the Dawson Creek case as definitive evidence of the corrupting influence of comics, noting that the boys read between 30 and 50 comics a week: "These boys had not only been influenced, but actually motivated to the point of detailed information, by crime comics" (244).